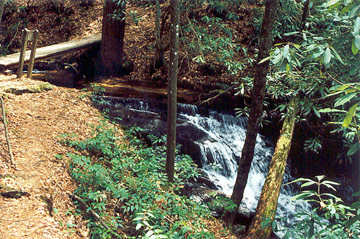 The Foothills Trail is an 80-mile foot trail running along the Blue Ridge Escarpment from Oconee State Park north of Walhalla, SC to Table Rock State Park north of Pickens, SC. 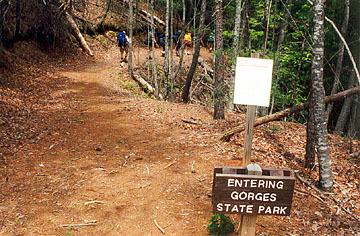 A 19-mile spur trail connects to Caesars Head and Jones Gap State Parks north of Greenville, SC. 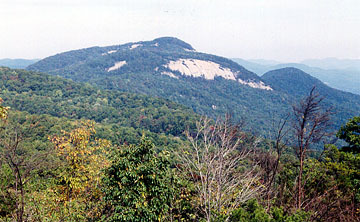 The Blue Ridge Escarpment is the geological phenomenon where the southern Appalachian Mountains suddenly end and the piedmont begins. 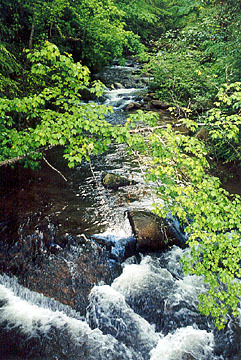 Over a distance of just a few miles, the elevation drops 2,000 feet. 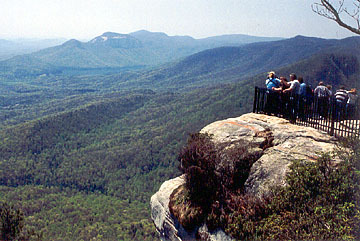 Standing at the overlook at Caesars Head best illustrates this elevation drop. 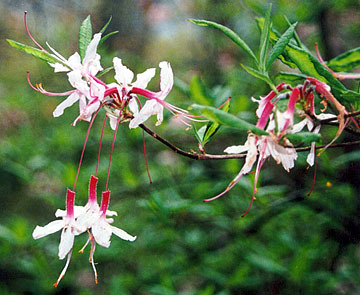 The Foothills Trail offers so many exciting experiences whether you want to get some exercise, do some photography, picnic in the mountains, birdwatch, view flora and fuana or just get back to nature for a weekend. 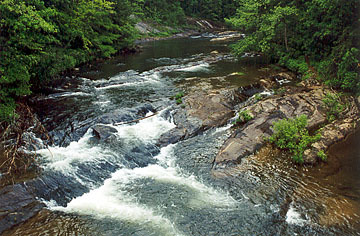 In terms of water, the Foothills Trail and its Caesars Head spur traverse the drainages of six major rivers: the Chattooga, Whitewater, Thompson, Horsepasture, Toxaway and Saluda. 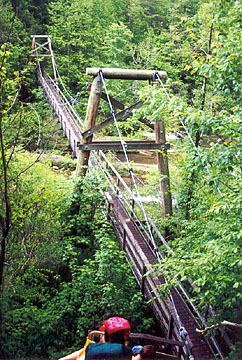 The trail offers tremendous views of the Blue Ridge Mountains and the South Carolina piedmont. 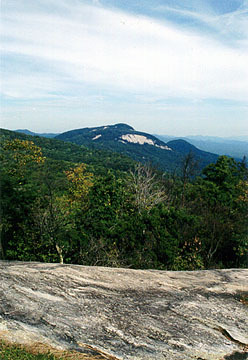 It crosses Sassafras Mountain, the highest point in South Carolina. 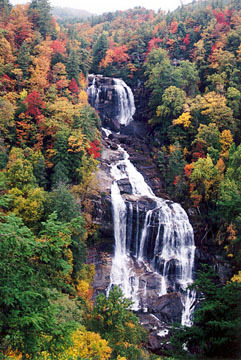 It passes Whitewater Falls, one of the highest waterfalls in the eastern United States. 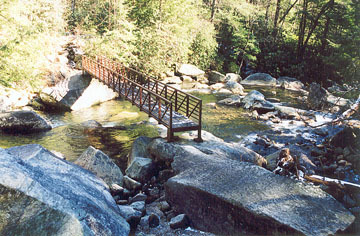 The trail passes through one of the largest concentrations of black bear population as it runs through the Jocassee Gorges. 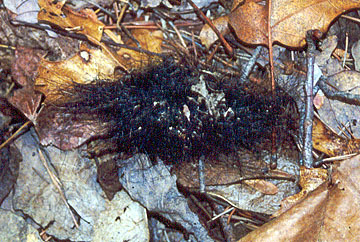 While you may or may not see a bear, you will likely see signs of their presence. 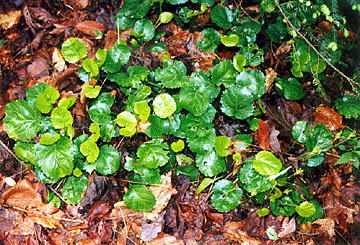 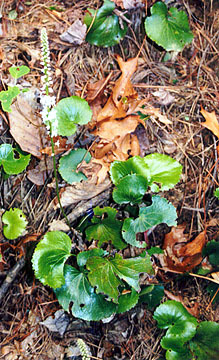 It offers one of the few opportunities to view rare plant species - such as Oconee Bells - and more common wildflowers - such as pinxster. 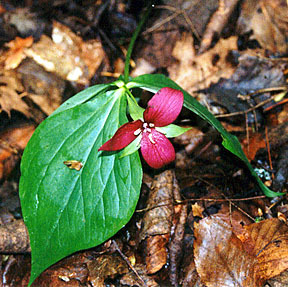 I will not attempt to describe the trail or its history in detail. 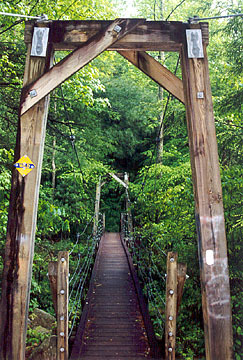 That is what the Foothills Trail guidebook from the Foothills Trail Conference is for. 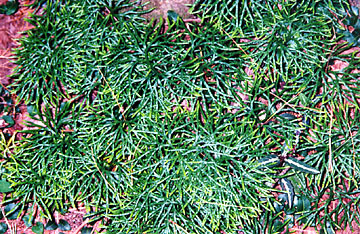 If you plan to hike or backtrack the FT, I urge you to get a copy of that book. 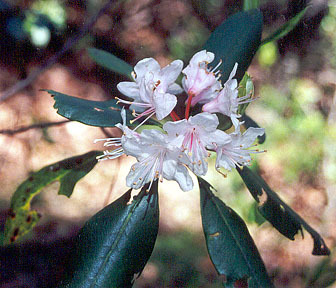 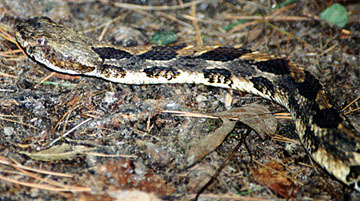 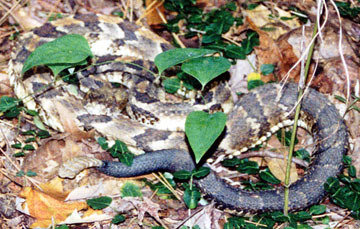 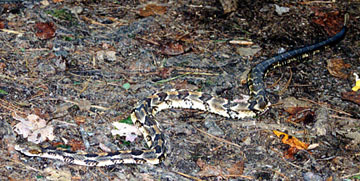 You can find it at most state parks in the upstate of South Carolina. 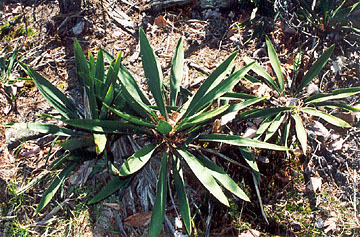 You can also find it at most outdoor outfitters in the southeast. 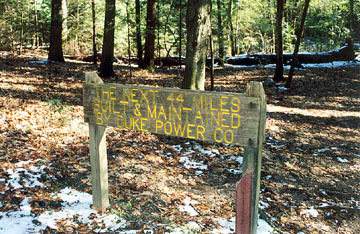 Sign noting Duke Power built and maintains 44 miles of the trail. 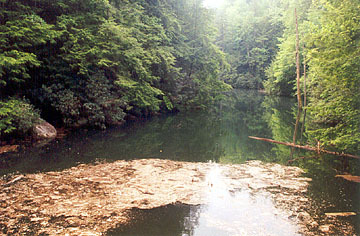 The sign is found along the Whitewater River section and more-or-less marks the NC-SC state line. 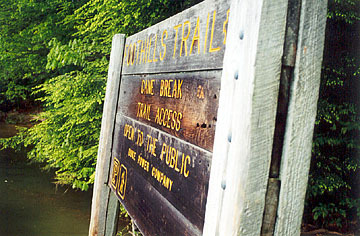 The trail has it origins in the 1960s, and over time, many partners came on board. 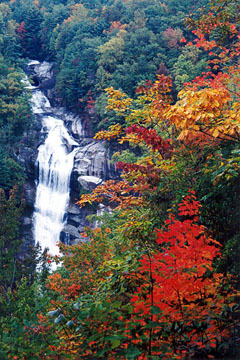 These partners include: SC Park, Recreation and Tourism; Duke Power; US Forest Service; Clemson University; Pendleton Historic and Recreational Commission and the Sierra Club. 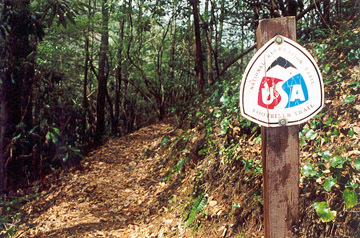 In the 1970s, the Foothills Trail Conference was created to serve as the unifying force for constructing and maintaining the trail. 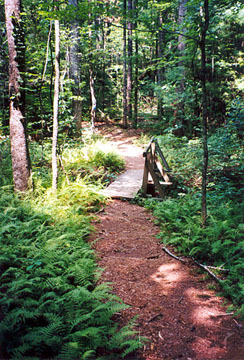 Today, the Foothills Trail Conference is a non-profit organization whose mission is to maintain the trail. 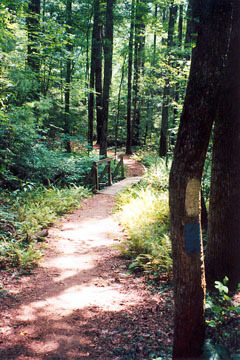 The FTC published the aforementioned trail guide as well as a waterproof trail map. 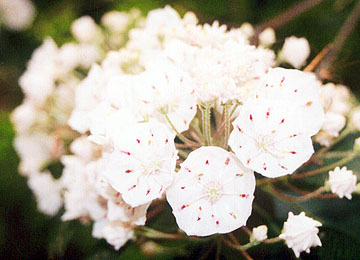 The FTC also produces a regular newsletter to keep members informed. 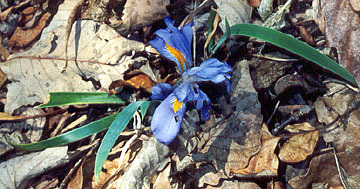 The conference also arranges guided hikes on a regular basis and coordinates a hiker shuttle service. 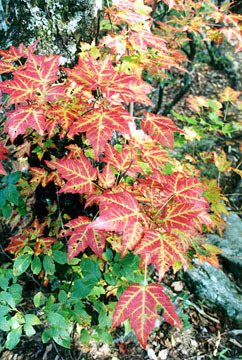 You can get more information about the Foothills Trail Conference - including how to join - by clicking on the link. 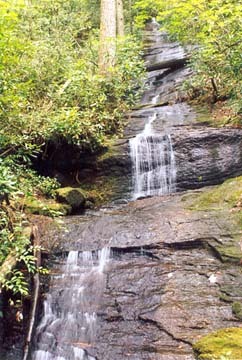 Starting at its western endpoint of Oconee State Park, the trail climbs Long Mountain and Dodge Mountain before descending to the Chattooga River. 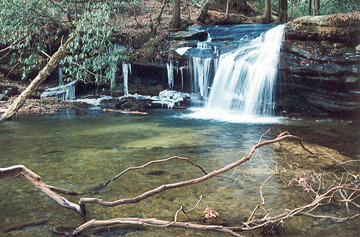 Near Pig Pen Falls and Nicholson Ford, the Foothills Trail joins with the Chattooga Trail and goes upstream to Burrells Ford and the US Forest Service campground there. 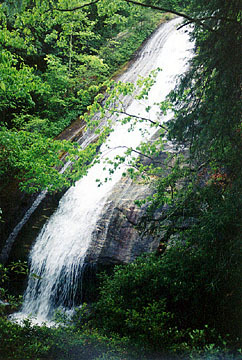 The trails split with the Foothills Trail turning east away from the Chattooga toward the Whitewater River and its falls. 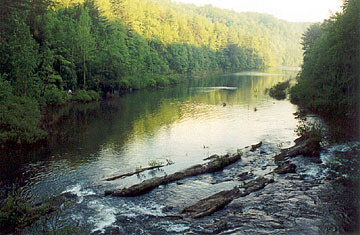 The Chattooga Trail continues upstream toward Ellicott and Commissioners rocks and where South Carolina, North Carolina and Georgia meet in the river. 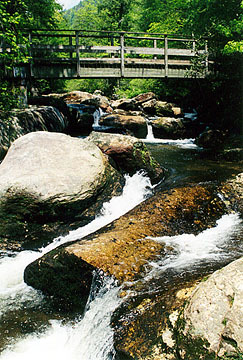 The Foothills climbs toward Round Mountain and Grassy Knob before passing the overlook for Whitewater Falls and descending to the Whitewater River. 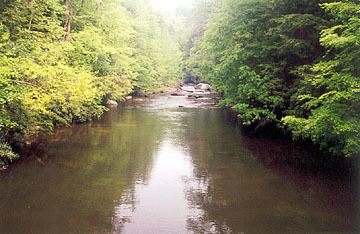 It heads downstream and meets an access trail coming from Duke Energy's Bad Creek Hydroelectric Project. 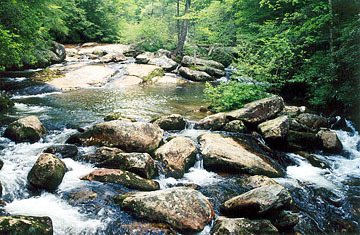 It then turns northeast to travel above Lake Jocassee. 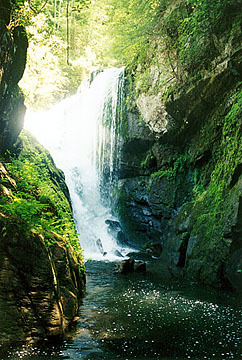 In the Jocassee Gorges, you can get the sense of what it must have been for the Native Americans and for the first white settlers to live in the area. 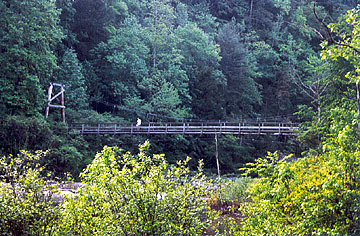 In this stretch, the trail goes 30-plus miles between road access points (SC 107 and US 178). 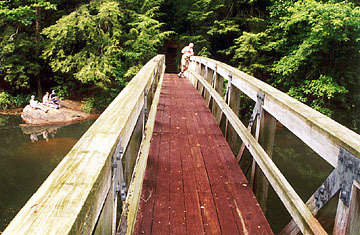 The trail is still accessible at certain points - by boat - when it crosses the Horsepasture and Toxaway rivers and near Rock and Laurel Fork creeks. 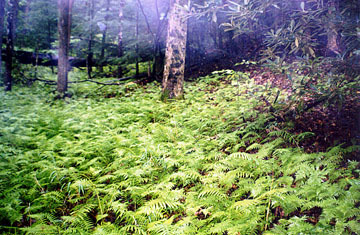 The trail crisscrosses Laurel Fork Creek several times as it climbs Flatrock Mountain and eventually crosses Sassafras Mountain. 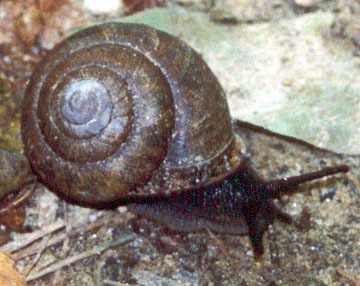 From there, the Foothils Trail is mostly downhill toward Table Rock State Park. 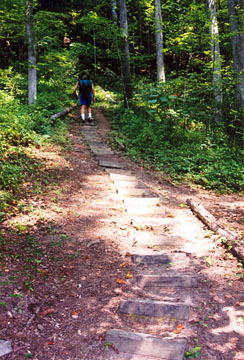 There is one more climb you ascend to Drawbar Cliffs on the side of Pinnacle Mountain before the steep descent to the park and the trail's eastern endpoint. 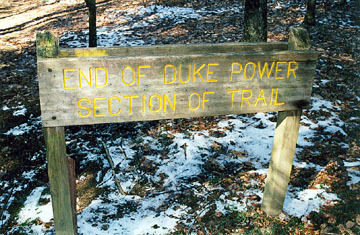 As was noted above, Duke Power built most of the trail that runs through the Jocassee Gorges section. 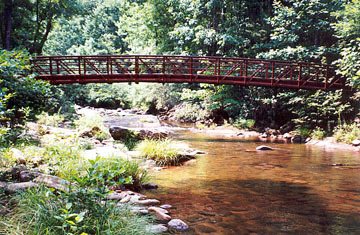 That includes the numerous sturdy bridges over the creeks and rivers. 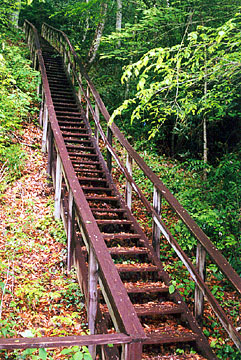 Duke was also responsible for the hundreds and hundreds of wooden steps that allows the trail to climb up and down the steep hillsides of the Jocassee Gorges, including the nearly 300 steps climbing up from the Toxaway River valley. 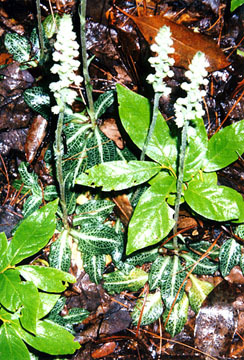 All photos � Allen Easler.